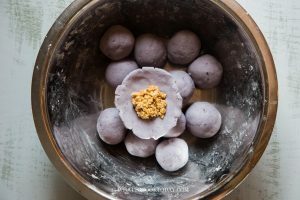 Okinawan Purple Sweet Potato Mochi Cakes with Peanut Fillings- Simple, delicious, soft and chewy mochi cakes made with glutinous rice flour and mashed Okinawan purple sweet potato are stuffed with sweet peanut fillings. 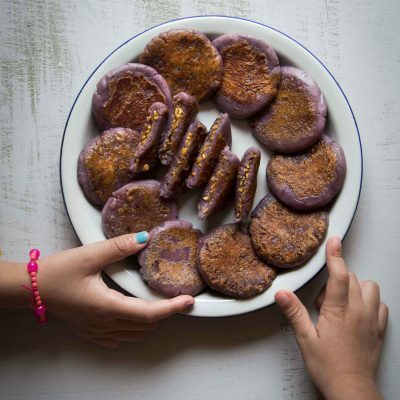 Mom used to steam purple sweet potatoes for us as snacks. It was my dad’s favorite. Mine too. We love to eat them just like that. 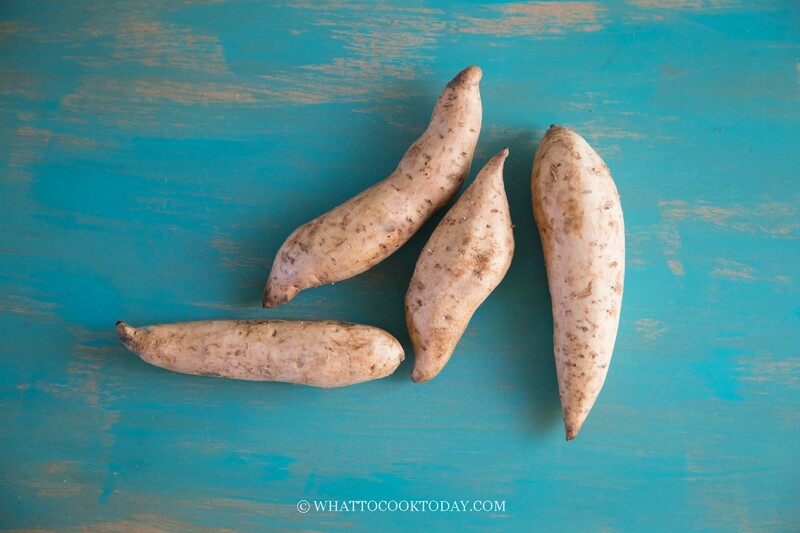 They are naturally sweet and I just love the taste it has, slightly different with regular orange sweet potato. Grandma liked to deep fry them. Those are hard to resist too! 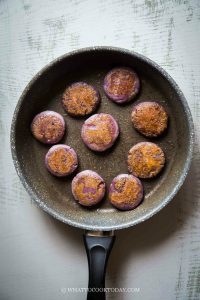 The only place I can find these purple sweet potatoes are at Asian grocery stores. Not all Asian stores carry them too. Sometimes they are hard to come by. If you live in Asia, I suppose this may not be a problem. You can try the farmer’s market that carries some Asian ingredients. 1. Snap the end of the potato. 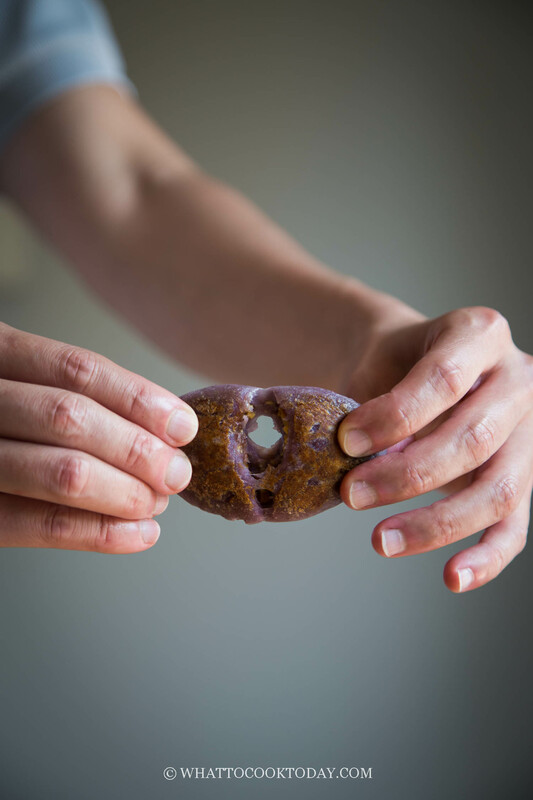 You will be able to see the purple flesh inside. The pretty purple color is not only for show. 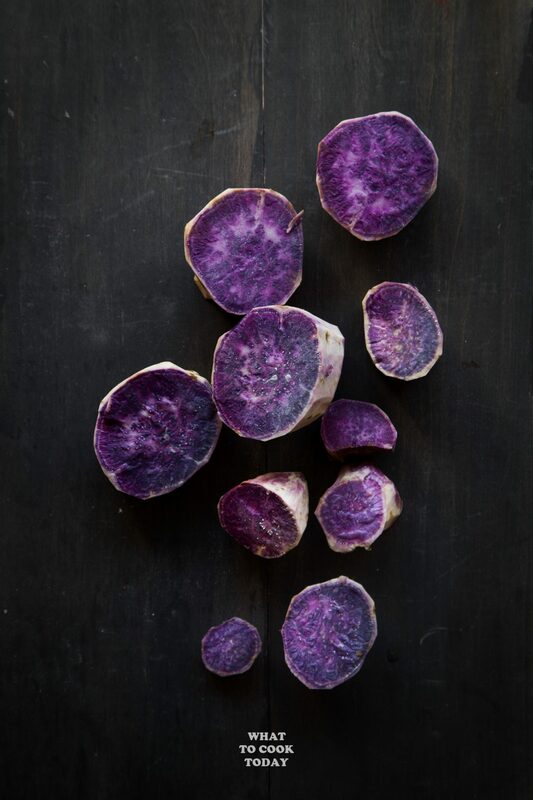 The beautiful purple color is due to the powerful antioxidant, anthocyanins. Have you ever heard that Okinawan people tend to live longer and healthier too? 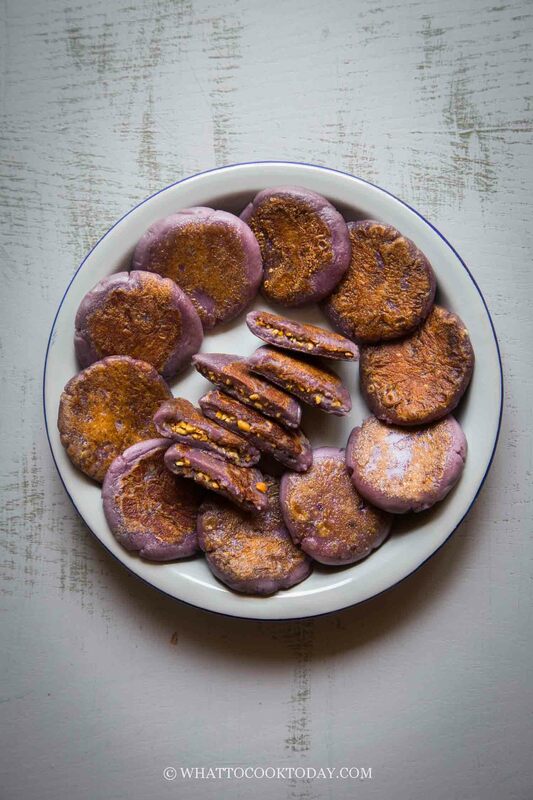 Okinawan purple sweet potatoes are part of their diet. 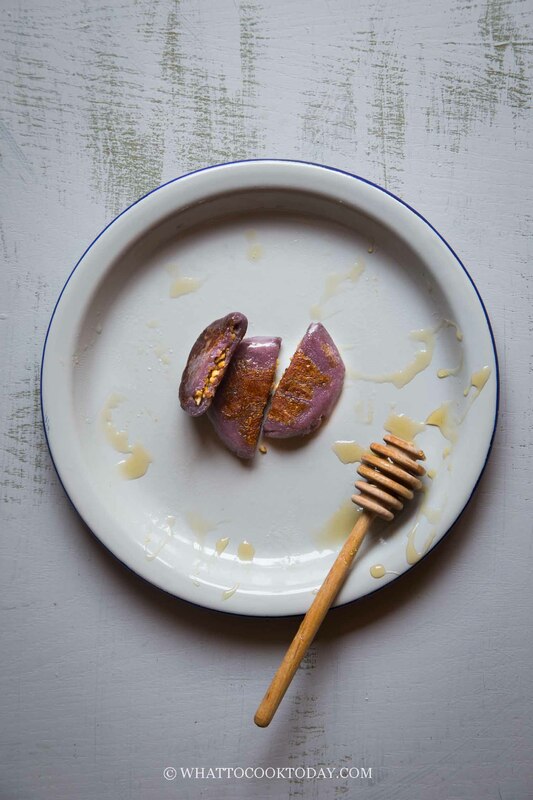 They are naturally sweet and tastes good too without having to add anything. 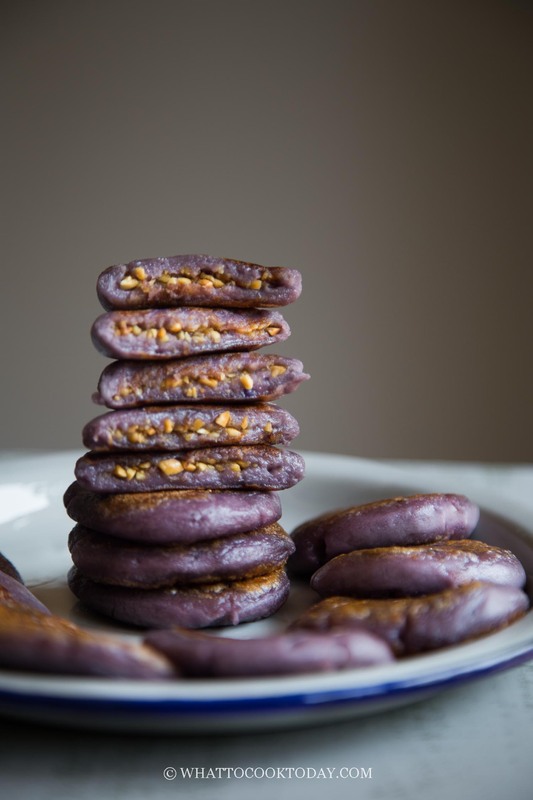 These mochi cakes and their fillings are really easy to make. Only a few ingredients and the dough is very forgiving. 1. 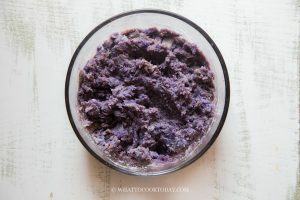 Use sweet red bean paste or sweet black bean paste filling. 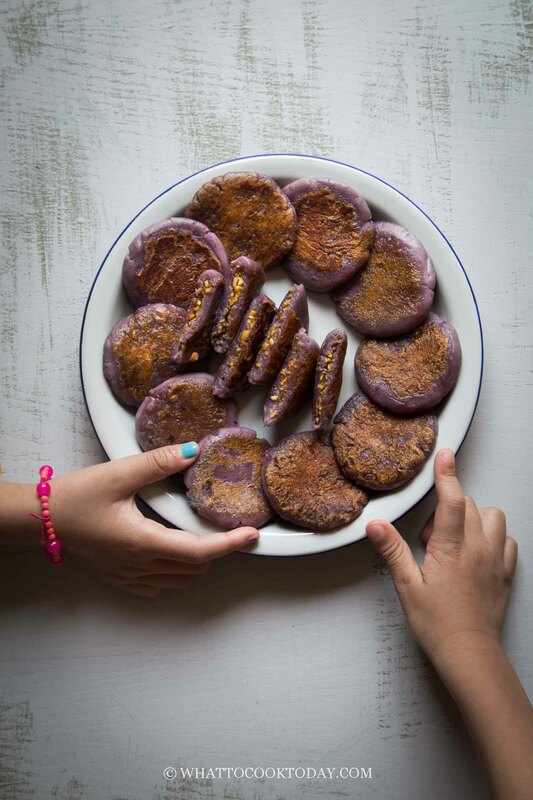 Have I mentioned these Okinawan purple sweet potato mochi cakes are soft and stretchy? My kids like them with an extra honey drizzled on top because I don’t make the filling very sweet. You can adjust the level of sweetness to your taste. 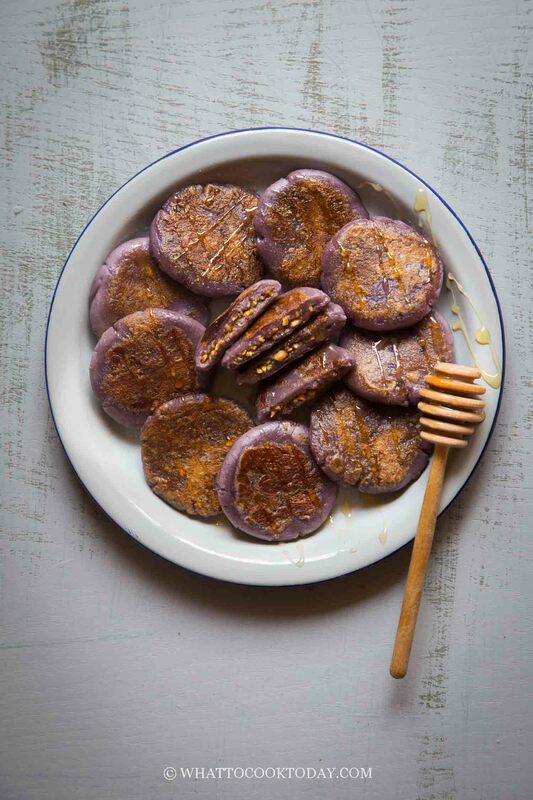 Simple, delicious, soft and chewy mochi cakes made with glutinous rice flour and mashed Okinawan purple sweet potato are stuffed with sweet peanut fillings.